before 6-7 years a guy at school brink a bali with skeletonized handle with holes and nice stainles 420 stell has a very dangerus point and litle bit sharpening its just a chip one but its very good and i passet lot of moments and experience with this bali help me a few times:)i have learn me some of basic and fast tricks.i always having with me exept the days i have an AB stiletto.i love my bali a lot. I just bought my first balisong. Nothing special. 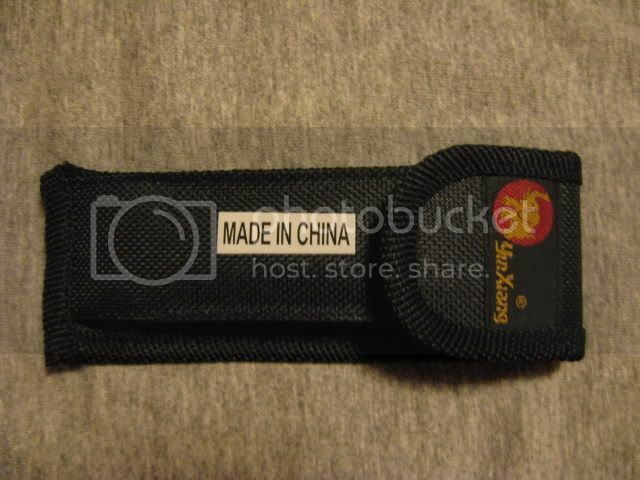 Chinese-made and pretty cheap. I like it though. Has some nice Mahogany wood inlays in the handles. Pretty tight and has a nice grind on the blade. I have a hard time finding fault with this knife. As far as I can tell it is a Golden Elephant made by Yin Xiang. Mighty nice-looking Bali, Mr. Vanagas! I think I saw a bali first in the movie Falling Down. And a whole lot more movies after that. When I saw the movie Face Off, I couldnt stand it anymore and I went down to the garage and spent a few weeks hammering a kris blade together. I folded flat steel into a channel, and used what ever scrap I found lying around for the blade. The aren't sold in NZ anymore. Haven't been since the early eighties, when I wasn't born curse my luck. I ended up making balis and selling them for a while. 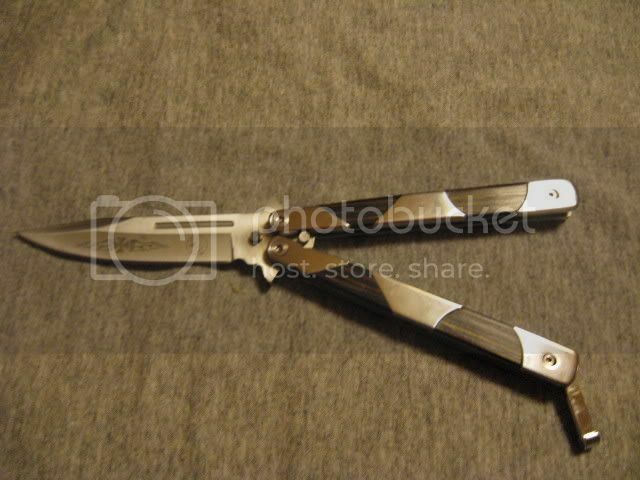 I spent six monthes trying to make switchblade when I was about 12 or 13. I usually use brass handles and 01 tool steel blades with a 58/60 RC. They are all put aside for the moment till I can finish off my leverletto kits and get better equipment. I have about 9 blades that need working. Vanagas, is the latch steel or aluminum? Does it have a latch guard? kozak6 wrote: Vanagas, is the latch steel or aluminum? The latch doesn't stick to a magnet, so it's not steel. Not sure what a latch guard is, but it seems the latch is held in place by tension supplied by the pin. A latch guard (also known as a latch gate) prevents the latch from contacting the blade. kozak6 wrote: A latch guard (also known as a latch gate) prevents the latch from contacting the blade. I had to think about that one. You mean while flipping I presume? If I get what you are saying, this knife lacks a guard. First one I actually had as a kid was a Plastic model. I am serious from a "karate kit" toy.... Gold handles etc. I used to try and figure out how to work it and then I came across somebody who knew the basics of opening and closing them. I was hooked. I showed my Dad the basics and he liked the knife so the next thing I know my DAD "procures" one of those silver knock off's from Pakistan. Not the best but pretty damn cool when your 12 and only seen plastic ones!! Anyway he would let me swing it once in awhile. He would cut himself on it when he tried. I figured out the blade and why there is that little piece of metal on the one side. 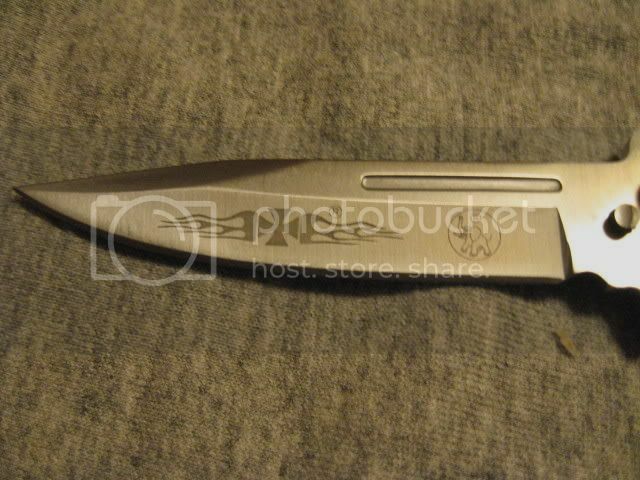 -this blade was the double sided except for a "kicker"? Anyway years passed I acquired everyone I ever came into contact with. They came and went - I finally got that silver Pakistani model back years ago almost 15 yrs later and it was stolen from me!! I would still love to get one of those old knock offs again for Nostalgia reasons... When I build my new collection I am planning on keeping it locked up. Why do people want to steal things others find so precious? Those kits were cool and I would think they introduced many of kids to "Butterfly" knives. Interesting story baliguy. Don't suppose you have any pics of your old knives? I'm pretty sure now I don't have a guard. The lock (the T shaped piece) would just flop around while flipping. I don't really know how to do it and guess won't be practicing with this knife. I'd hate to mess it up. I wonder if there is any way to improvise a guard? If I knew what a guard looked like maybe I could make something. No, I am slowly putting together my new collection. When it looks good I will post. I wonder if there is any way to improvise a guard? I use to use two small O-ring seals on the latch on some of my bear balisongs when I flip them. Once the latch was open I would slide the seals down and they would keep the latch in the open position. 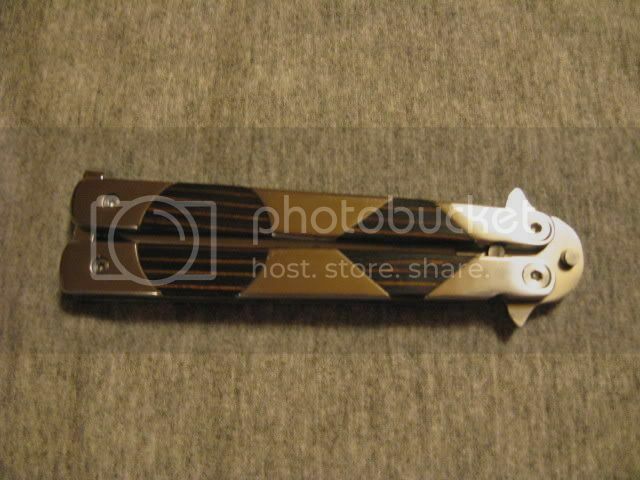 This will prevent the latch from flopping around and making contact with the blade and other handle also. Another trick is to stuff a pencil eraser in the handles just under the latch but they fall out with heavy flipping. Most pf my newer balis however have latch gates and or spring latches. Thanks stepdaddy. I'll try the O ring trick. I've got some small ones lying around somewhere I think. Vanagas wrote: Thanks stepdaddy. I'll try the O ring trick. I've got some small ones lying around somewhere I think. No problem just let me know how it works out for you so I know if I should recommend it again to others in the future. the first bali I remember owning is a small green wood handled one.can't remember the maker,but it was about 3" closed.it was slick as a greased pig.I ended up selling it at a pawn shop.that was over 20 years ago.